The BMI is not just for the kids. Bring your group to discover Baltimore’s firsts! Our guided tour engages participants in discussions and demonstrations of working museum artifacts. Visit the museum and experience Baltimore’s industrial past! 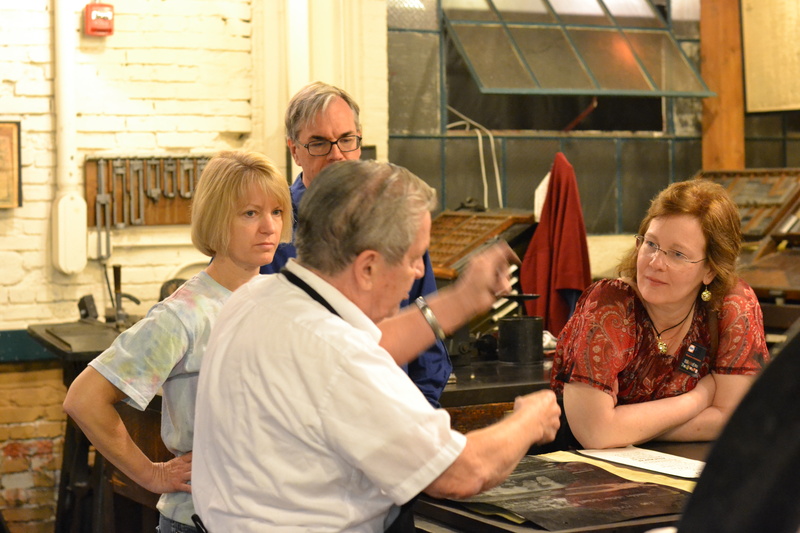 The museum comes alive for your group as skilled Museum Educators demonstrate working museum artifacts such as our belt-driven machine shop, a vertical shear, and a printing press. In the process, our guided tour engages participants in discussions and deepens their understanding of the ways that innovation, entrepreneurship, and technology have shaped Baltimore’s industrial history. Groups of 10 or more: Adults – $8 each, Seniors – $6 each. Other discounts do not apply. To schedule your group, please complete our reservation request form below OR contact the Education Coordinator at 410.727.4808 x117. FREE BUS AND VAN PARKING! The BMI brings the history to you with lectures on Baltimore’s industrial history. The lectures offered feature topics on the radio industry, the garment industry, Baltimore during WWII, the shipbuilding industry, the port of Baltimore, and Baltimore during the roaring 20’s. Lectures are one hour in length and are reserved for a rate of $150 with an additional travel fee for the lecturer. To schedule a lecture at your site, please complete our reservation request form below OR contact the Education Coordinator at 410.727.4808 x117.